Join us for a casual Dragon Boat Paddle! 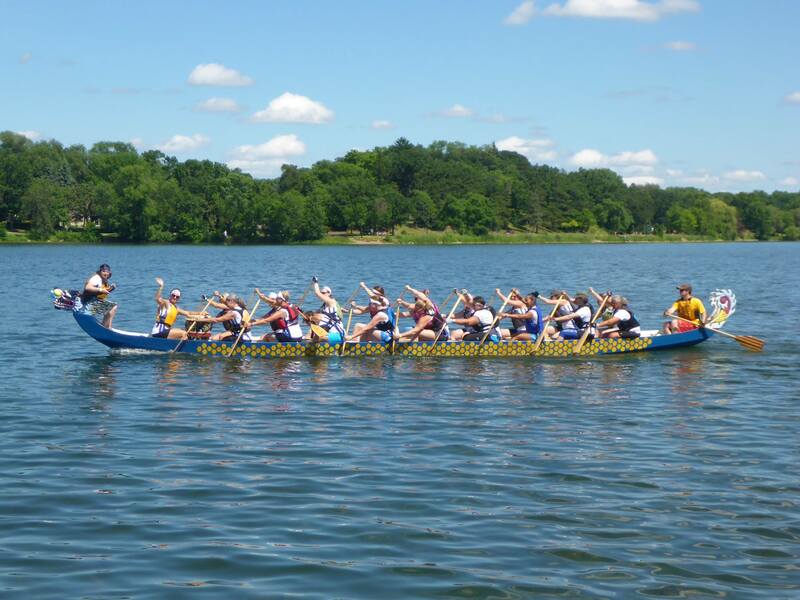 You'll spend a couple hours paddling a 20-person dragon boat on White Bear Lake in MN. Your Dragon Boat instructors will hold a brief lesson prior to getting into the boat. What is a dragon boat? Check it out HERE! Cost is $20 and includes: dragon boat, paddle, basic instruction, water and healthy snack. Difficulty level: Easy to moderate and will depend on your level of fitness and experience. No skills necessary. Carpooling is recommended and will leave FCC at 1:30PM. Cancellation Policy: Cancellation 1 week prior will receive no refund unless we can fill your spot. In the case of inclement weather we will host this event another date.